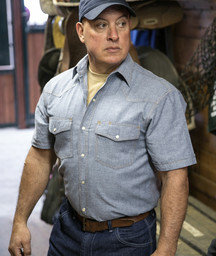 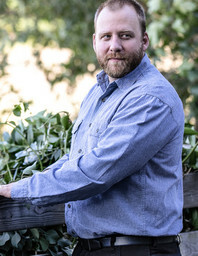 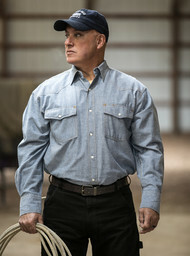 KEY Pre-Washed Blue Chambray Work Shirt, full comfort, wrinkle resistant, and durable! 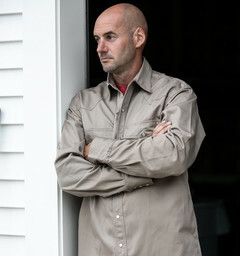 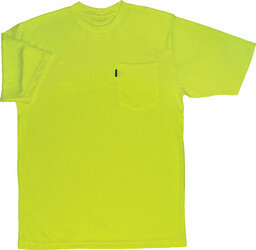 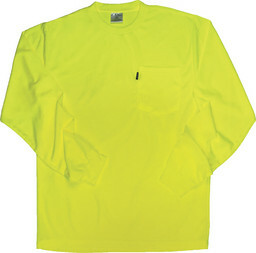 All the style of a Western in a KEY Contractor Grade Welding Shirt. 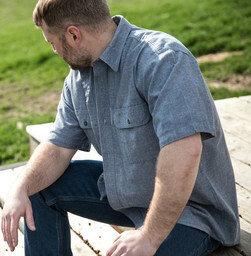 A Western Styled KEY Blue Chambray Work Shirt with Short Sleeves for those hot summer days.